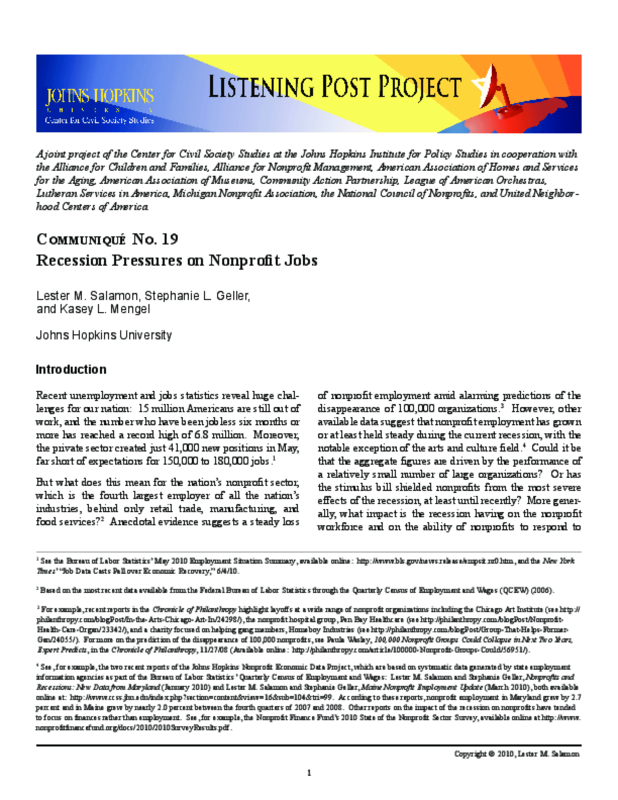 Summarizes findings from a national survey on nonprofit employment that was conducted in April 2010. The report describes evidence of workforce strain during the current recession with increased demand for services. Nonprofit have also demonstrated resilience in maintaining staffing levels.